Here is the recipe for chicken balls with leftover curried chicken and bread. Easy snack recipes with chicken is always favorite for children. It is very lovely to enjoy something hot and crispy for evening snacks especially in this winter. I prefer bread snack ideas to savor along with a nice cup of tea only because of its easiness. 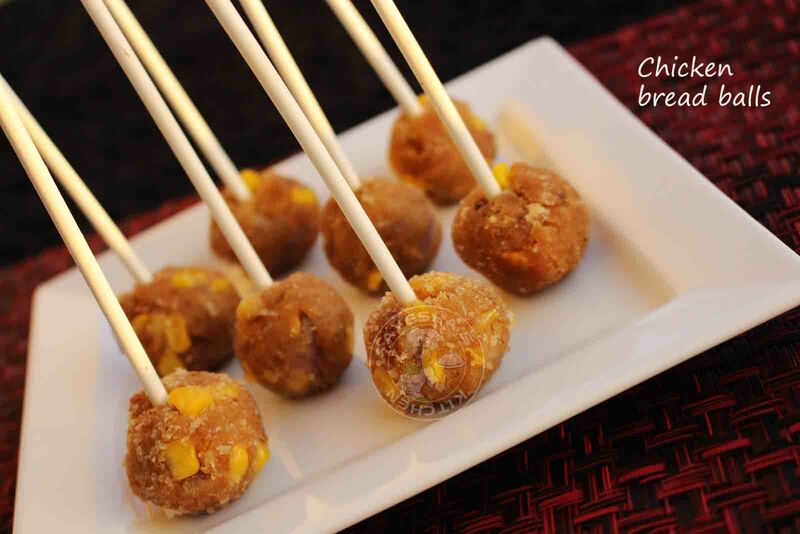 For those who wants some easy snacks to make for your kids or for your family, here it is. I am sure this recipe won't let u down. Kindly requesting to adjust the spices as per your taste and preference. So here is the recipe showing how to make snacks with leftover chicken or veggies / quick and easy snacks /quick snack recipes /bread snacks recipe / snacks with bread. Then press tightly all these ingredients with your hand and make a smooth dough by adding milk. Then shape them into small balls and roll them in bread crumbs. 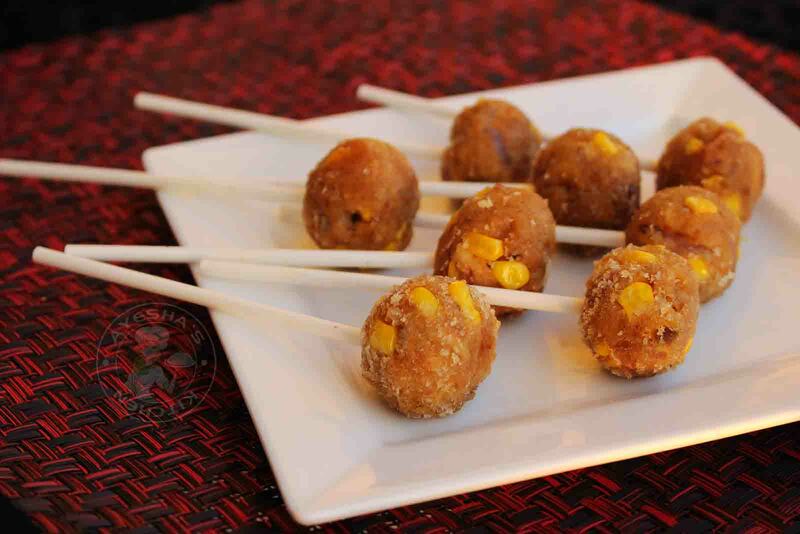 As we are using cooked corn here, you have to shape them well to make lemon sized balls. Heat oil in a pan and deep fry these balls until golden. Do not over fry and drain it to a paper towel once done. Garnish with some pop stick and serve with hot chili sauce. You can use fried chicken instead of curried chicken. If so, u have to use more milk and spices while binding the dough. You can use leftover cooked vegetables and mash them well instead of curried chicken. You can also saute all the ingredients in less oil (except bread slices) before binding them together, if u prefer.